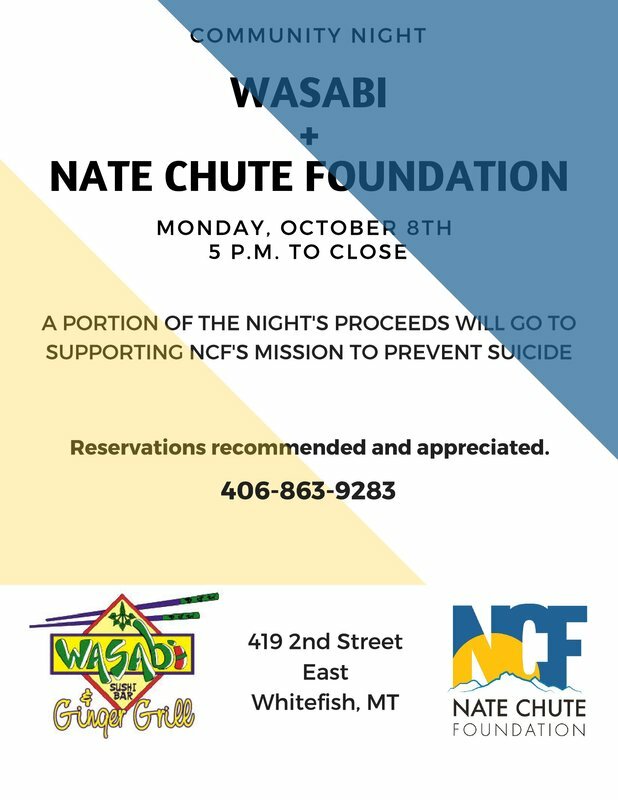 Please join Whitefish High School Student Council, Nate Chute Foundation, and Park Side Credit Union for our community awareness event. 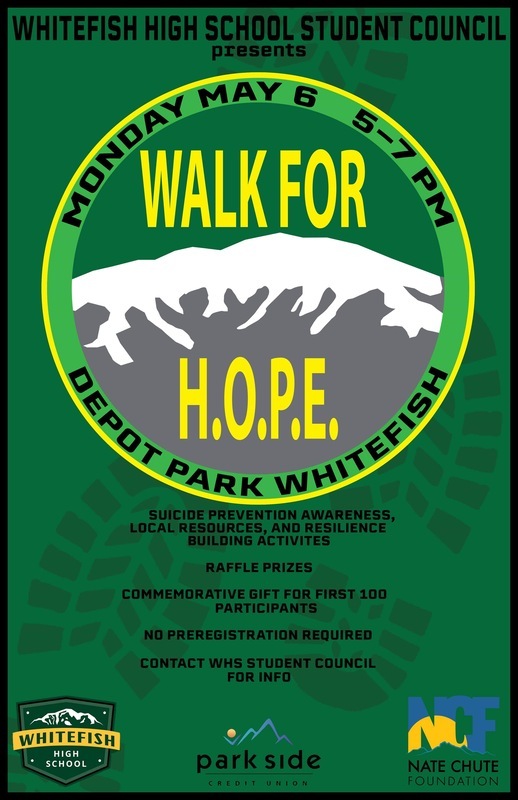 We will offer a designated walking path around the park with music provided by the Whitefish High School Jazz Band, preventative education for healthy choices, and local community vendors. Join us as we celebrate 20 years of the Nate Chute Classic Snowboard Contest at Whitefish Mountain Resort. Friday, March 15th. Hawaiian Classic Luau and Calcutta at Bonsai Brewing. Back by popular demand, and with a throwback Hawaiian theme, we're auctioning off riders to the highest bidder. 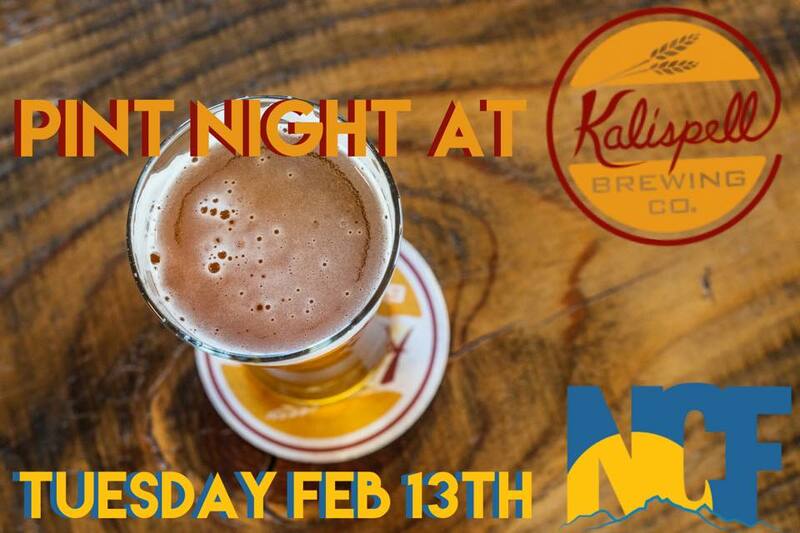 Don't music music by JC, Hawaiian themed food and new release beer, plus a custom 20th Annual Nate Chute Notice snowboard up for grabs. 5-8 p.m.
Saturday and Sunday, March 16th and 17th. 20th Annual Nate Chute Banked Slalom and Boardercross at Whitefish Mountain Resort. NEW THIS YEAR! Old Josie's category for women 35+ (minimum number of contestants required). PRE REGISTRATION IS REQUIRED. Registration closes at noon on Friday, March 15th. Don't wait!!! Register HERE. Saturday March 16th. Live Music and NCF Benefit Night at the Bierstube. During and after the Banked Slalom Awards, The Stube is donating a portion of proceeds to NCF. Sunday March 17th. Overall Awards at the Bierstube. Community Night at Mackenzie River Pizza. Dine in or take out. MRP is donating a portion of proceeds to NCF. Tuesday, February 13th. 5-8 p.m.